Ensure the item is returned within 60 days of purchase, clean, undamaged, unused and in its original packaging. Enclose the returns slip or a copy of your invoice with a note to advise the reason for return. The customer is responsible for the cost of return. Once your return has been delivered by the courier to our warehouse, please allow up to 5 days for your order to be refunded or exchanged before contacting us. Please allow up to 5 working days for your refund to be processed by your payment provider. You can now use CollectPlus to return unwanted items - a convenient way to return parcels via local shops, petrol stations, universities and shopping centres. CollectPlus is trusted by thousands of busy people every day. There are over 7,000 CollectPlus points, open from early morning until late evening, 7 days a week. 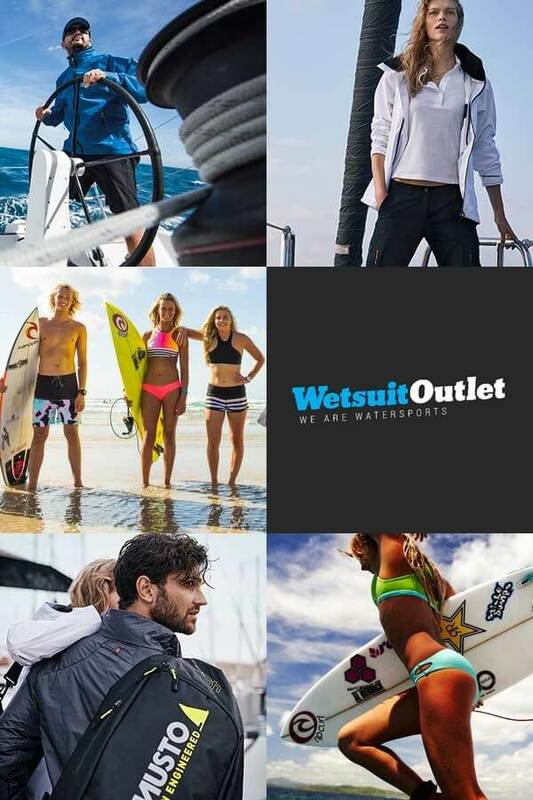 Simply visit http://www.collectplus.co.uk/wetsuitoutlet to find your local CollectPlus point and purchase your returns label for £4.49. Please note that a CollectPlus return label only provides cover in the event of loss or damage to a maximum of £25; if the item you are returning is of a higher value, please consider using Royal Mail. Return parcels with cabin baggage dimensions up to 60x50x50cm and 10kg using CollectPlus. Find your nearest CollectPlus store by clicking here and use the 'Find a store' search facility at the top of the page. Alternatively, you can text COLLECT and your postcode to 84555 (e.g. COLLECT WD17 1HP). Texts from 84555 are free to receive. Texts to 84555 are charged at your standard network rate. For our customers based in the countries listed here, we recommend using the ReBOUND return service by visiting their website. The ReBOUND returns platform is available to our customers in Austria, Belgium, Bulgaria, Czech Republic, Denmark, Estonia, Finland, France, Germany, Greece, Hungary, Ireland (Northern), Ireland (Republic of), Italy, Latvia, Lithuania, Luxembourg, Netherlands, Poland, Portugal, Romania, Slovakia (Slovak Republic), Slovenia, Spain (exc. Canary Islands), Sweden, United States. Go to ReBOUND returns and click "Get Started". Enter your order number and choice of postcode, email address or phone number. Your order number can be found in your order confirmation email or the invoice included in your parcel. Select a return method that suits your needs. We recommend that you select one of the tracked options to enable you to check the progress of your return. Confirm your sender address, phone number and email address. ReBOUND will send your return confirmation to the email address provided. The email will contain links to track your return shipment and a copy of your unique return label (so that you can print out your label at a later date if you do not currently have access to a printer). Print your label and attach it on the parcel.